On Good Friday the legendary ‘one a penny two a penny’ Hot Cross Bun is eaten. 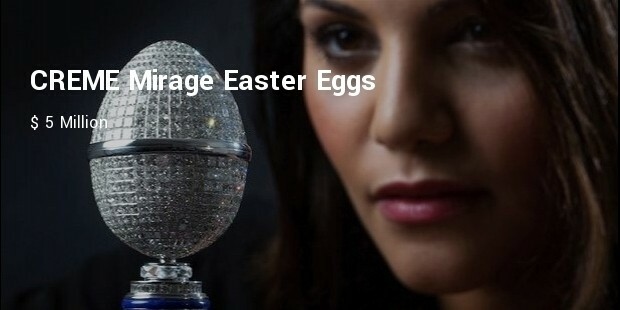 Three days later comes the Easter Eggs; but they are no longer cheaper. Easter egg represents empty tomb of Jesus. The Easter eggs breaks records like egg shells. They don't look as exciting now the worlds most glitzy and which took three years to make. 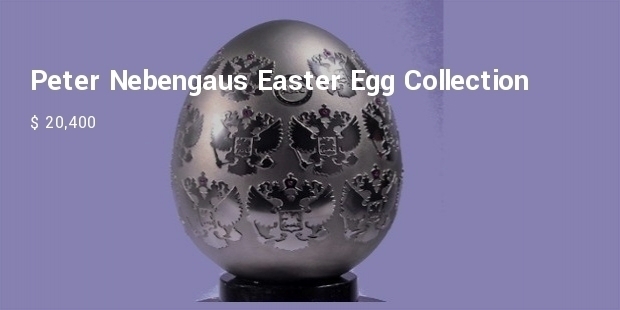 A mixture of Faberge and Damien Hirst skull design is a unique gem craft with 1000 diamonds. 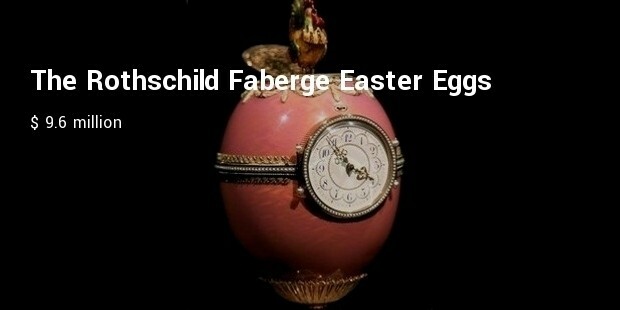 The jewel-encrusted egg opens up to reveal an ornate globe which was hand-crafted in 18 carat gold. Within the globe, a rock crystal dove with a gold beak and gems for eyes, is perched on a lavish gold olive branch. The dove and olive branch were hand carved and were included as symbols of world peace. 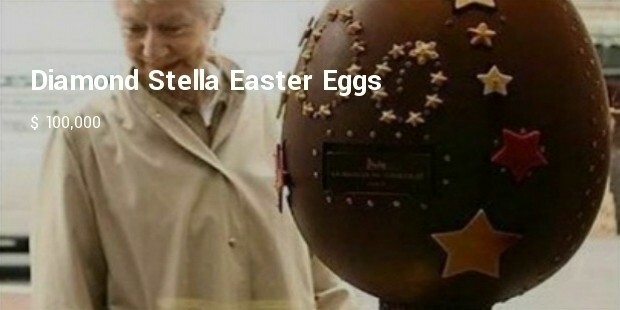 Two guards at La Maison Du Chocolat shop in London protect this 65 CM tall costliest Easter egg named Diamond Stella Egg, made out of layers chocolates and stuffed with peach, apricot . The outside is studded with 100 half carat diamonds. The most expensive non-jeweled chocolate egg is crafted by William Curley. The purchaser now holds the Guinness record. Amadei chocolate, Japanese black vinegar, toasted sesame, Muscovado caramel, rosemary and olive oil and juniper berry and cassis are the constituents. 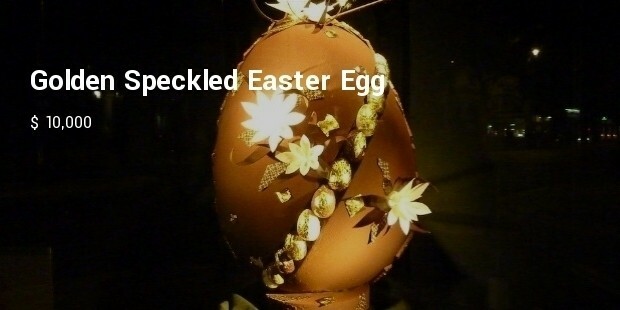 Golden Speckled Egg was crafted by 7 well known chocolatiers is accented with edible gold leaf. 6. 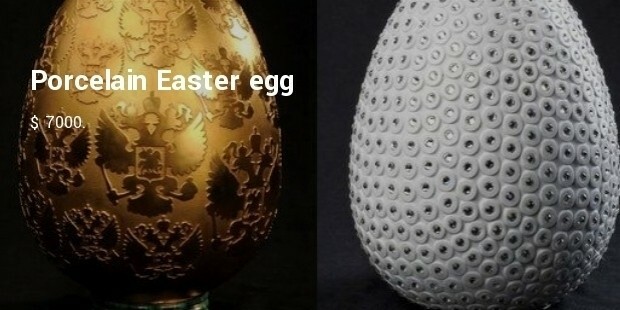 Porcelain Easter egg encrusted with Swarovski crystals retails for $ 7000. By decorating the empty tomb, many have filled their pockets, few their souls and others fulfilled their fantasy.